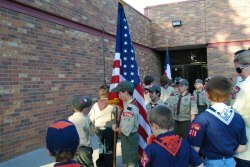 In Cub Scouting you’ll have lots of fun, adventure, and activities with your den and pack. But there’s more to it than that. Being a Cub Scout means you are a member of a worldwide youth movement that stands for certain values and beliefs. Cub Scouting is more than something to do. It’s all about the person you are and the person you will become. Pack 378 is sponsored by New World United Methodist Church in Arlington, Texas. Our pack meetings are regularly held on the 1st Thursday evening each month at New World United Methodist Church Fellowship Hall from 7-8 pm. Pack 378 has a long history, over 60 years, as an active pack, constantly achieving “Quality Unit” status and remaining a top Scout Popcorn seller. Strong, positive relationships with our sponsoring organization and feeder elementary schools (Butler, Jones, Larson, Peach, Ellis, Sherrod, Treetop and more), along with a generous supply of adult leadership, allows Pack 378 to provide one of the greatest Cub Scout experiences around. 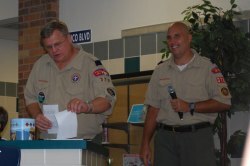 Pack 378 is part of the Cross Timbers District in the Longhorn Council. The dedication and commitment of our Pack Committee, Cubmaster, and Den Leaders enables us to have an outstanding program to offer. They spend hours planning for den meetings, pack meetings, camping, and special events. It is this leadership that enables our Pack to offer our Scouts and opportunity to grow and advance.